The spacecraft's design had assumed that the windows would face forward during the final approach to give the crew a view of their landing site, and that it would pitch into this attitude from a windows-up attitude. If the windows were facing up, and given that the landing radar had to face downwards, then its antenna had to be mounted on the base of the descent stage on the side opposite the windows. The number, called 'delta-H' was telling him that their height, as measured by the landing radar was 1,000 feet or 300 metres lower than the computer's estimation based on its knowledge of their orbit. "Roger; it looks good. Recommend you incorporate it,'' said Carr as the flight controllers passed on their wisdom. "No sooner said than done. Let me know when it converges. I'm going back to my normal displays.'' On Conrad's command, the computer took the radar data, compared it to its current estimation of their height and rate of descent, then attempted to fly a compromise between the two in case one was grossly in error. It then revised the trajectory to high gate and repeated the cycle until its estimation of their height converged with the data coming from the radar. The delta-H figure on Apollo 12 was small - radar and computer were almost in agreement. Had the radar shown them to be 10,000 feet or 3,000 metres higher than the computer believed them to be, an abort would have been called for. Having just dealt with the shorted abort switch, Apollo 14 ran into more technical problems when they tried their landing radar for the first time. Typically, crews expected the all-important radar to be working by 10,000 metres altitude, but as Antares passed this point, they were still receiving no radar echoes from the antenna. "Come on radar,'' implored Ed Mitchell, the LMP, but the two lights on the DSKY stayed stubbornly illuminated. "Come on radar!" 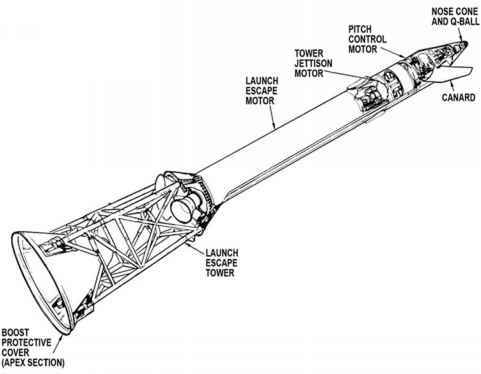 By 7,000 metres, there was still no valid data coming from the landing radar and the two crewmen frantically tried to make it work, knowing that if they still had no success by 3,000 metres, they were bound to abort the mission, separate the ascent stage, and return to the CSM. "Come on in!'' Mitchell urged, then, "Okay!" as the lights went out and the radar began to function normally at only 5,500 metres. "How's it look, Houston?" called Shepard. Shepard, at 47, was the oldest of the Moon-bound crews and the only Mercury astronaut to go to the Moon. Many have wondered whether he would have attempted a landing without the radar. Most believe that if he had tried, the narrow margins of propellant would have obliged him to abort further down. In contrast to Apollo 14's late acquisition of radar data, Young and Duke got a pleasant surprise when they tried Orion's landing radar for the first time on Apollo 16. Compared to the other landing flights, Orion's descent began at a much higher altitude - over 20,000 metres, probably due to some over-compensation made for the influence of the mascons on Apollo 15. They were then surprised when their landing radar started to work while they were still 15,000 metres or 50,000 feet up, which was 50 per cent higher than expected. "Isn't that amazing,'' agreed Duke. "Look at that data, Houston," said Young. "When do you want to accept it?" "Okay, you have a Go to accept,'' said Jim Irwin once the flight controllers had passed on their agreement.